Next week, TPG and I will have an opportunity to attend a very exciting aircraft delivery as Singapore Airlines picks up its latest A350 from Airbus’ facility in Toulouse, France. This is the actual A350 that’ll operate the carrier’s inaugural from San Francisco later this month, so it’ll certainly be “factory fresh” for that flight a week or so after the plane first arrives in Singapore. We’ll be attending the delivery ceremony, at which point we’ll have a chance to tour the aircraft, but we’ll also be onboard the delivery flight to SIN — that’ll be a first for both of us. I’ve been gunning to join a Singapore delivery since just before my final flight on the A340-500, so this trip has been about three years in the making! Needless to say, we’re both very excited. 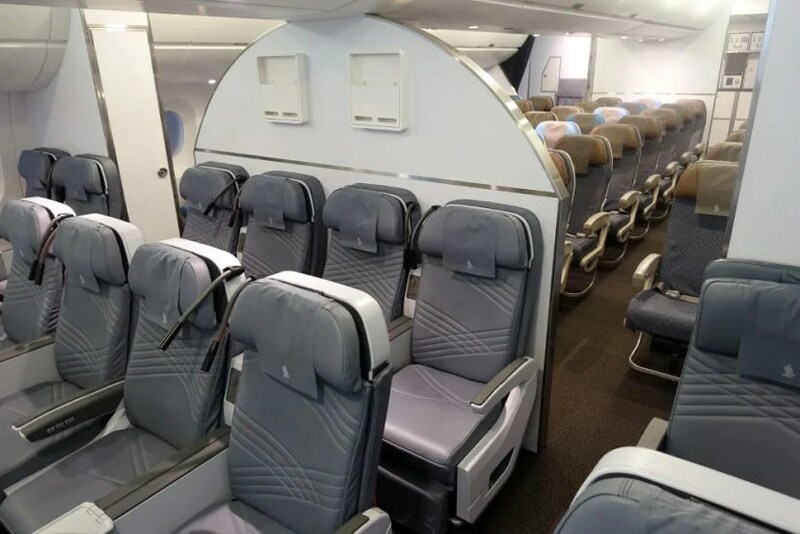 A Singapore A350 premium economy cabin mock-up at Singapore’s training facility. Delivery flights are super no-frills — expect boxed lunches in business class, plastic-wrapped carpeting and incomplete galleys — it’s a very different experience than you’d have on a typical Singapore flight. It also isn’t possible to redeem points or pay cash for this type of flight (though we are covering transportation to Toulouse and from Singapore, plus all other travel expenses), so we won’t be sharing a typical review — you won’t have to wait long, though, since we will be onboard the SFO-SIN inaugural (on a paid fare) a week or so later. Since it’s a delivery flight, most of the plane will be empty (as I experienced on my Qatar A350 charter last December), giving us a chance to try out economy and Singapore’s new premium economy as well. Stay tuned for Facebook Live videos, Snapchats, Tweets and Instagram posts (from me, too), along with a whole lot of content on the blog. Have you flown Singapore’s A350?